If you’re moving to Tottenham and want to make sure that your move is in the best possible hands then you should give us a call on 020 8746 4402 now! We offer an extensive range of moving services in and around the N15 region and can help you with van hire, man and van services and much, much more! 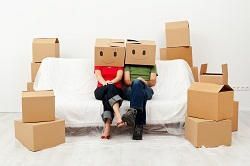 If you have anything from a few boxes to a comprehensive house move to organise, Moving Service is the only removal company that you need to know about. With our expertise and incredible deals, you can get your move organised at an incredibly good price. Our customer services team can give you more information on any of our services, so don’t delay - give us a call ASAP! Does The Local Area Have Much To Offer? Tottenham is a district in the north of London that lies less than 10 miles away from the central area of Charing Cross. Part of the London Borough of Haringey, it is one of the most ethnically diverse areas in London. Well-connected to the rest of the city it has tube stops on the Victoria and Piccadilly lines. It is also home to the White Hart Lane football stadium and a wide number of shops, restaurants and cafes. Despite this, it is often thought to be one of the poorer areas of the city with relatively high levels of unemployment. House prices tend to be below the capital average though with a number of ongoing regeneration projects this could change in the future. Why We’re The Best Team Around! We know how stressful it can be organising a move, especially if you don’t know the area or if you have a lot of things to move. That is why we have made sure that we have the best house moving team in the N17 district! Friendly and experienced, our movers can take care of anything you need. Packing, lifting, loading and specialist removals are all part of the service as are our modern and reliable moving vehicles. Our removal services are also flexible and easy to understand with a year-round service and no hidden surcharges. So, if you want your move to be taken care of by a leading removal firm, make sure you make your booking with our local team! Have Our Workers Been Professionally Trained? Yes! All of our workers have been expertly trained to ensure that they can take the utmost care of your items. Everything from delicate objects, expensive furnishings and heavy pieces of furniture can all be looked after with the professional care that they need. Our movers are also masters in the art of packing and can help you to make sure that your move goes 100% to plan. If you’re moving to Tottenham, N15 and want to make sure that your treasured possessions are in the best possible hands, make sure you book your removal services with our team! All you need to do is dial 020 8746 4402 and we’ll give you an unbelievable quote with no obligation required! Do You Want To Make Incredible Savings? No one wants to pay over the odds for their move and with our removal company there really is no need! We at Moving Service have an exceptional range of deals that can help you to make incredible savings! With our local prices and special offers we can help with any removals to N17 district. If you want to get a low-cost deal without any compromise on quality, check out our great offers! We guarantee to offer you the best value and service in the local area. To book your move in, call us on 020 8746 4402 – we’re ready and waiting to take your call!